What are you waiting for? Maybe you are waiting for someone or something and don’t even realize it? 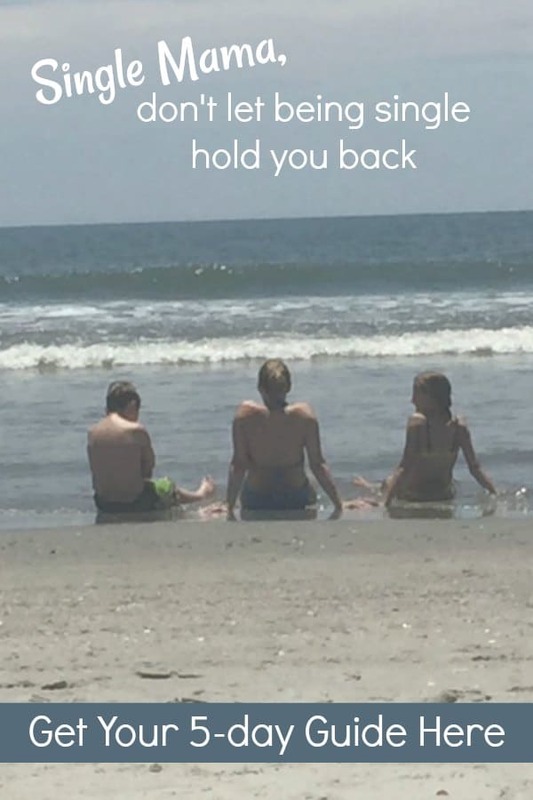 Do you let being a single mom hold you back? I never realized I was waiting. But it’s that small voice inside you that says “no” when an opportunity or idea comes up. What do you keep silencing over and over? Are waiting for your circumstances to change before you begin really living your life? I admit I sometimes don’t do all the things I want to do because I don’t want to be the only one without a husband or the only one handling both kids by myself. It can feel like you’re the only one. Obviously, we aren’t. But if you spend any time comparing yourself to the happy family statuses on Facebook then you may feel like you just don’t belong. I can’t tell you how many people I’ve had to hide on Facebook, how many class reunions I’ve skipped, how many family activities my kids have not experienced all because I’m waiting. But life stops for no one. And my children keep growing. 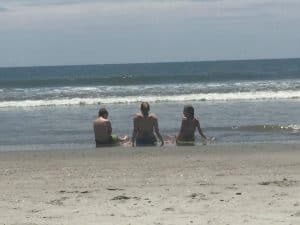 Recently on the spur of the moment, I made a last minute decision to a take a 10-hour road trip for a week-long vacation with the kids by ourselves. This was out of character for me. I don’t particularly like road trips because it involves too many things I consider “guy responsibilities”: possible car breakdowns, long driving, loading the car with a very heavy cooler, maps, etc. See, I’m great at entertaining, calming, and loving on the kids. You know, all the typical mom stuff. But it’s the demands that single parenting puts on us that revolve around the more traditional dad/guy side that is so taxing on me. This is where I just want to scream, cry, and give up. The stuff like fixing the house, the leak in the pipes, the car breakdown, talking to a mechanic, shoveling snow, the grass, etc. And on the trip, some of those things happened. Two of my tires popped at the same time and we were stranded out of state, in a neighborhood I was unsure if we were safe in. I drove through unexpected snow, the dog threw up in the car. If I would have known those things would happen, I may not have gone. And we would have missed out on one of our best vacations. All because I was waiting for someone else to help me. I would have missed out on hours of uninterrupted time outdoors with my kids with no electronics. I would have missed out on letting my children take more responsibility. They had no option but to help me. We had a 3-month puppy with us in a 10-hour car ride. My son wanted to build a fire in the backyard in the firepit. I was completely against it. Put this one up in the “dad” area along with camping. 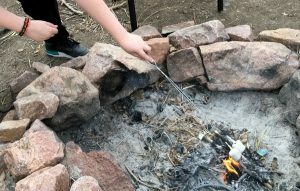 But I decided to be brave, and try it (he enticed me with smores). It was a great experience! My children would have missed out on a great bonding experience with each other. I would have missed out on learning I am capable of so much more than I think I am. Driving in conditions I’m not comfortable, handling car issues in a strange town, staying in a home that’s not mine and not being afraid. Let me ask you again: What are you waiting for? Are you waiting for someone or something and don’t even realize it? This is your life. Today as you know it. Not some tomorrow that you wish to come true. Not some fantasy family. Live today. Your Life is NOT Waiting. Need a push out of the funk? 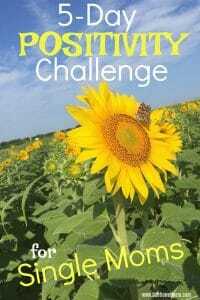 Join our 5-day positivity challenge for free.